The front desk is a small but busy team. 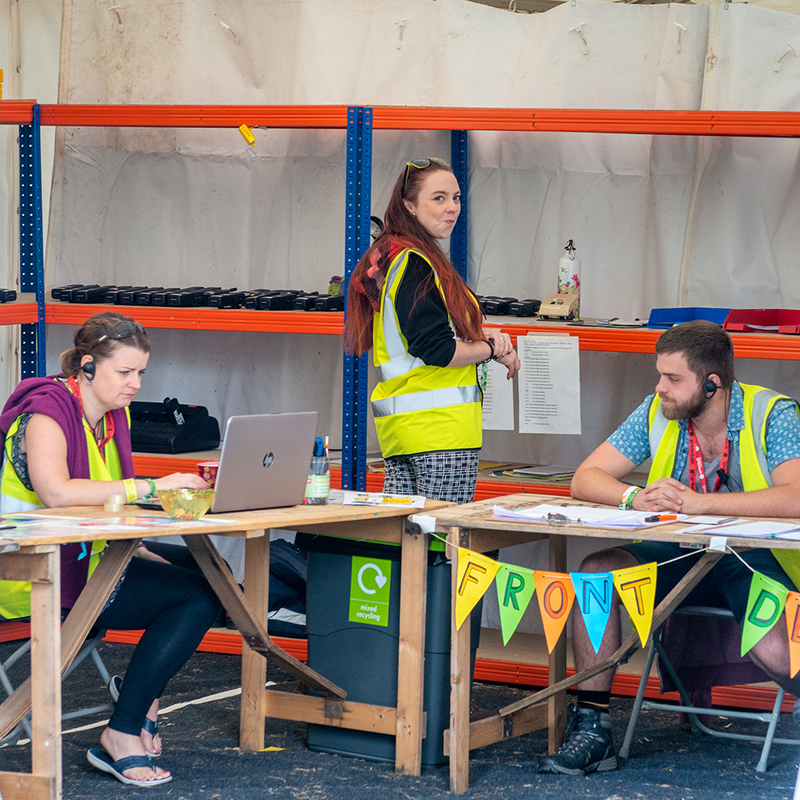 It is a key link in the delivery of the festival, dealing with practical needs for those setting up and running the event. It particularly supports site operations, programming and production providing a resource of information and hopefully answers to needs. In addition the front desk team provides support for all radio users through management of the radios and accessories. Training is given and you will work in a small team, often in two shifts in a given 24 hour period between 7.30am and 12.30am, totalling seven hours.